In Smart Phones like Android already has some inbuilt feature to hide phone number. But due to some conditions in some countries, this feature is blocked. But don’t worry there are many android apps available on Android Market that helps you to hide your phone number. 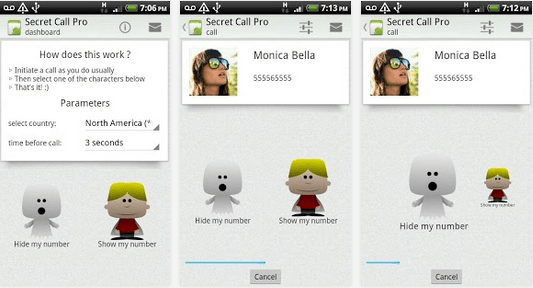 Secret Call – hide Caller ID : Its a free app available on Android Play Store to hide phone number or caller id. 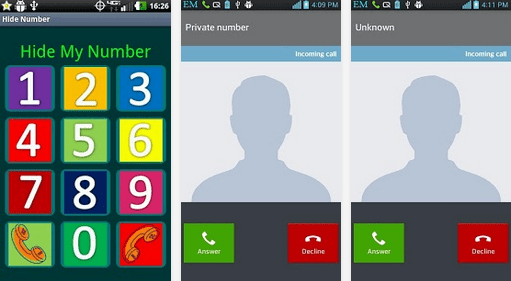 “Secret Call” allows you to initiate calls secretly, meaning hiding your Caller ID. This unique application gives you the choice to hide or show your number whenever you call someone. Its very easy to Hide phone number using this Android app. When you call someone, it will ask you hide/show your caller ID. Just select the desire option. And your number is private now. 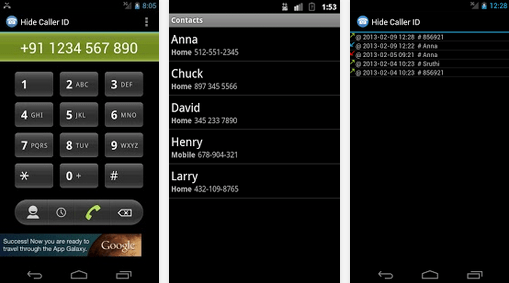 Hide Phone Number Caller ID: This app is freely available on google play. This app basically add a some pre codes to the number you are dialing. Like in my previous tutorial i told you about some codes. Now using this app you don’t have to remember those codes. It will automatically add that to your number. But this app does not work for India. Due to some rules and conditions of Indian Government. 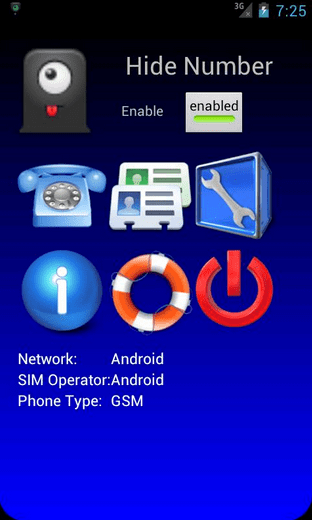 Hide My Caller ID Phone Number : Another free app to hide caller id in Android. This app claims that it works for USA, Uk and India. But for me it does not work. A very cool app that automatically blocks your phone number from appearing on receivers’ phones – it will hide your phone number caller ID. You can let other party see only Private Number. It supports most mobile operator. Hide Number (Caller Id): Its a premium app but had great features. It support many operator. You can set whether you want to block your caller id for all number or for some specific number. But in India, these services does not work. You have to request your service provider for this. Or you can use third party services. Due toy strict rules of Indian Government, mobile operator does not allow you to call as a private number. But in other countries like US, Canada these apps work very well. your app not working in india so how i hide my caller id please told me sub way..